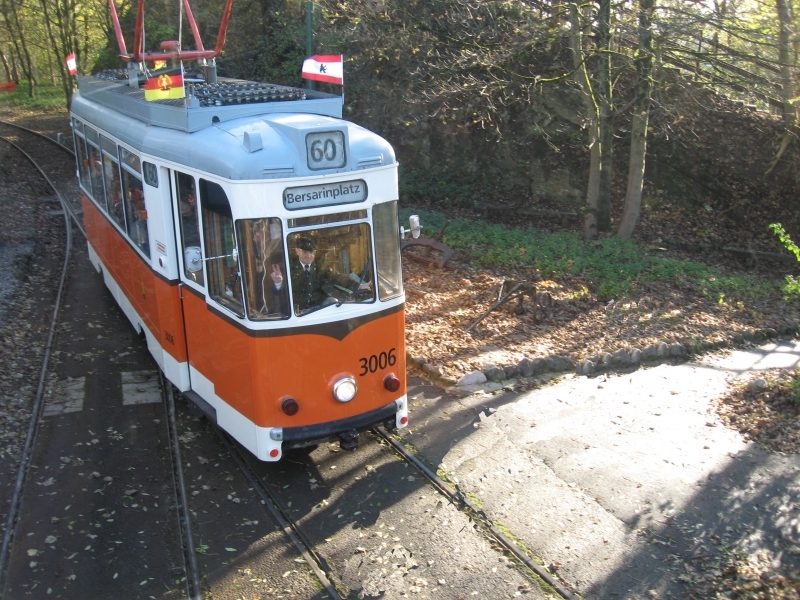 The National Tramway Museum is located at Crich, ( listen ), Derbyshire, England. The museum contains over 60 (mainly British) trams built between 1900 and 1930 and is set within Crich Tramway Village, a period village containing a pub, cafe, old-style sweetshop and tram depots. The museum's collection of trams runs through the village-setting with visitors transported one-mile out into the local countryside and back. The trams at Crich mostly ran along the streets of cities in United Kingdom before the 1960s, with trams rescued and restored (even from other countries) as the systems closed. The village is also home to the Eagle Press, a small museum dedicated to letterpress printing including an 1859 Columbian printing press. Please give us your overall rating for Crich Tramway Village.